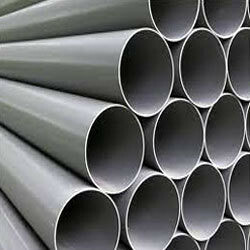 We bring forth an impregnable range of PVC Pipes. 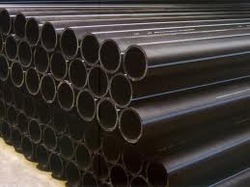 These PVC pipes are widely used in construction and industrial applications. Our PVC pipes are heat resistant, non-corrosive, non-toxic and appropriate for high-pressure applications. These pipes are widely used as underground electrical pipes and fitted within walls to protect electrical cables from moisture. P.U. Pneumatic Pipe offered are high pressure pipes that can be made available by us in different metric sizes and inner/outer diameter options as desired by the customers. being made of superior grade PU, these pneumatic pipes are suited for use as oil/fuel lines, petrol tank breather pipes, for pneumatic controls, as lubrication lines and others. Further, these have in them properties of handling wide range of temperature changes, thus making these suitable of use in different climatic areas. Available in different colors like Black, Red, Yellow, Brown. PVC footsteps is a superior substitute for conventional iron steps generally seen by us. Some of its salient features are anti-corrosion and unique slip resistant design. Our PVC encapsulated footsteps is made from high carbon steel rod and copolymer granules, which give it great strength without making it too heavy. 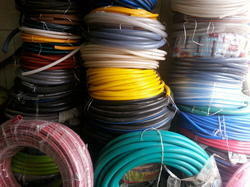 Our product are best in rates also in domestic range and international range. 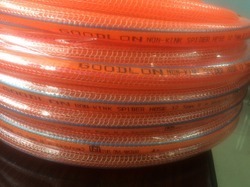 All types of High temperature flexible HOSES available. 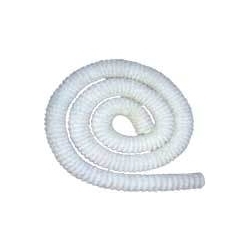 The thunder hose pipe we offer are made from flexible transparent PVC with spirally reinforced immovable spring steel wire. Inner and outer hose wall is smooth. 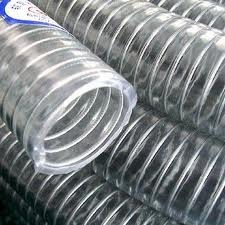 We offer quality PVC thunder hose pipes with steel wire reinforced. We offer a complete range of PVC Suction (water) in various sizes, specifications and dimensions. All these hoses are designed to offer high durability, longer life and flexibility so that maximum suction and water delivery can be achieved. All these are also offered as per the desired specifications of the clients. 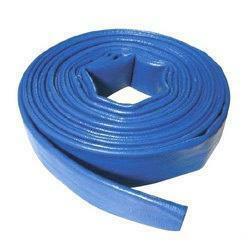 HDPE Pipes offeredare developed using quality material finish and are perfect to be used for high pressure water delivery. Being made using high density polyethylene, these pipes assist in carrying potable water, chemicals, hazardous wastes, wastewater, slurries as well as compressed gases from one point to the other. Further, these pipes also have a long history of successful usage in the field of oil and gas, mining and water utility sectors. PVC Steel Wire Reinforced Pipe offeredcomprises steel wire reinforced transparent pipes for suction based applications. Here, the presence of steel reinforced construction also allows these pipes to achieve higher resistance for crushing of flexible vinyl hoses. Further, these pipes are also highly flexible and can also be bent on self axis, thus making it useful for connection of wiring where hoses need to be roughly handled. Other than this, these are also suited in machine tools for making connection. 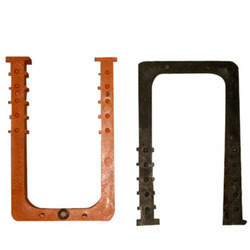 Suitable for applications like Suction ducting, Exhaust of fumes and gases, Machinery tool wiring conduits, Electrical conducting for boards and panels. Rigid PVC Conduit Pipes that we supply in the market are extensively used for Agricultural Irrigation & Drinking Water Purpose. 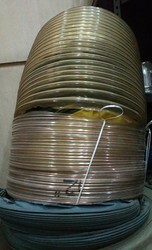 These Rigid PVC pipes are fitted in portable water supply system. They are flexible yet tough in texture. 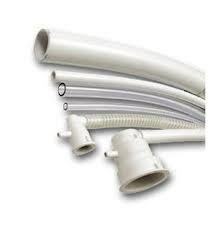 We offer Rigid PVC pipes in different ranges and specifications as per the requirement. 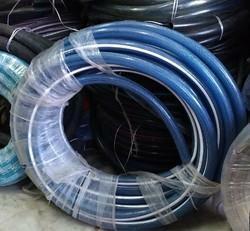 Besides, we are one of the reputed Rigid Polyvinyl Chloride Pipes Manufacturers in India. 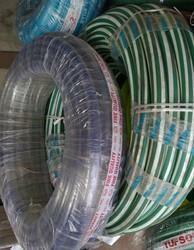 PVC pipes for hot tubs and Jacuzzi fittings.